I don't know about you ladies but I love me some luminous skin! I think it is pretty safe to say we all do right? Well when I think glow and luminous I immediately think of my face. But have you ever thought about having luminous skin on your under arms? I have! And that is because I, just like 32 million other women in the U.S. suffer from dark marks under my arms. And now I know why... Did you know that the process of shaving can reduce the top layer of skin by 20%, leaving the skin sensitive and exposed to chafing or dryness. Well I am here to tell you that Dove Clear Tone nourishes your skin and soothes irritation. 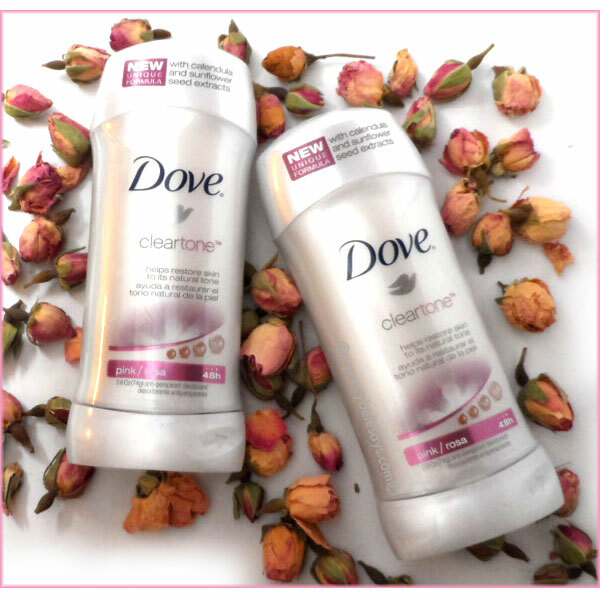 Along with all the Dove Clear Tone deodorants, Dove Clear Tone Pink Rosa is designed to reduce red and dark marks caused by shaving and it leaves underarm skin more even-looking in just two weeks. As a perk, Pink Rosa has a floral and fruity rose and raspberry blossom scent. Who doesn't love a fresh floral scent as it works other wonders! Dove Clear Tone Anti-Perspirant Deodorant is an "over the counter" remedy, specifically formulated with Calendula and Sunflower Seed Extracts. It’s designed to reduce red and dark marks and even skin tone. I have been using it for the past week and a half and I am already seeing results! Ladies, I know that sometimes as women we may feel the need to keep certain little issue to ourselves but I am a firm believer that sharing is caring. And that is why today I am bringing you these great tips for better skin, because we should all take care of our skins to feel at best with ourserlves! And I think it's great when we can relate to one another, not only about the latest trends and beauty products but also when it comes to beauty issues. I hope this post help you as much as it has helped me battle with just one of my little insecurities because let's face it we all have them, no matter how fabulous we are! and last but definitely not least a $100 gift certificate to Rent the Runway! So tell me, what is your best tip for luminous skin? The giveaway ends on November 15th, so tell your friends to participate, sharing is caring!